Posted on 2, April 2019 by EuropaWire PR Editors | This entry was posted in Agriculture, Chemicals, Food & Beverage, Germany, Healthcare, Marketing, News, Pharma & Biotech, Technology and tagged 2nd International Beef Symposium, acaricides, animal well-being, Bayer, Bayer Animal Health, beef, beef calves, beef cattle professionals, Beef Master Club, beef production, bovine fertility, bovine respiratory disease, Care4Cattle, cattle health, cattle producers, cattle ticks, cattle well-being, coccidiosis, cow-calf herds, digital innovation, Dr. Almut Hoffmann, farming, i-COWNT BRD, Latin America, livestock, livestock farming programs, Mateus Paranhos da Costa, METRA, parasite control, PRENA, Professor Brad White, Professor Nick Jonsson, Professor Welber Daniel Zanetti Lopes, reproduction, Scot Feedlot Congress. Bookmark the permalink. MONHEIM, Germany & RIBEIRÃO PRETO, Brazil, 2-Apr-2019 — /EuropaWire/ — Bayer reports for over 220 cattle professionals having attended its 2nd Bayer International Beef Symposium. Key topics discussed on the event were parasite control, bovine respiratory disease, reproduction, digital innovation and well-being as the main one being the cattle health and well-being. The 2nd International Beef Symposium was held in Latin America adjacent to the Scot Feedlot Congress (3rd-5th April). Bayer sponsors the event, which is a must attend for cattle professionals across Latin America. Global leaders, stakeholders in the beef cattle health and management as well as cattle veterinarians and producers from 14 countries have come together and shared the latest innovation, research, knowledge and developments during the symposium, which took place in Ribeirão Preto, Brazil, from 31st March to 2nd April, 2019. During the three-day event scientific presentations, expert panel discussions and a day on a beef cattle farm for hands-on demonstrations and application of science in practice have been part of the curated program. Notable attendees were: Professor Brad White from Kansas State University, Professor Nick Jonsson from the University of Glasgow, Professor Welber Daniel Zanetti Lopes from Universidade Federal de Goiás, Brazil, Professor Mateus Paranhos da Costa, among others. Mitigating bovine respiratory disease in cow-calf herds was discussed by Professor Brad White. Optimizing calf well-being and health in this first step of the beef value chain presents an opportunity to can maximize their lifetime potential, added Professor White. Professor Nick Jonsson, University of Glasgow, pointed out at the impact of cattle ticks and underlined the importance of effective control through proper use of acaricides, monitoring and rotation programs. The significance of coccidiosis in beef calves was highlighted by Professor Welber Daniel Zanetti Lopes. For endemic farms, the strategic treatment of coccidia in calves up to 15 days of age helps to mitigate the adverse effects of the disease, further explained Professor Lopes from the Universidade Federal de Goiás in Brazil. Advancing animal well-being was boldly highlighted at the Beef Symposium and the cattle professionals’ commitment and contribution in this regard was acknowledged and celebrated at the event. Professor Mateus Paranhos da Costa from Brazil shared with the audience his work in improving weaning methods for optimal cattle well-being. He is Bayer Care4Cattle grant recipient. 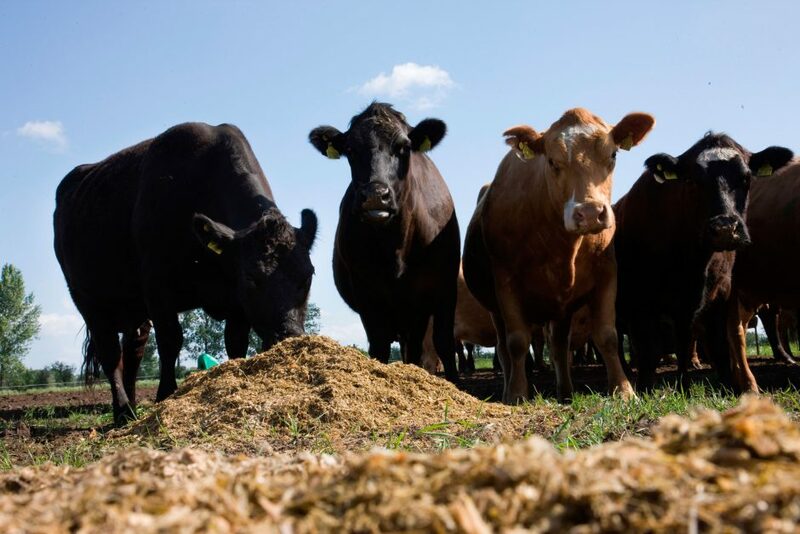 During the 2nd International Beef Symposium Bayer unveiled a new initiative aimed at connecting the global network of beef cattle professionals called Beef Master Club. It will provide tailored scientific education and expertise while facilitating greater exchange within the community. Bayer also presented a digital comparison tool for different antibiotics used for the treatment of bovine respiratory disease called i-COWNT BRD aimed at assisting cattle professionals to enhance cattle health and well-being. Another practice-oriented tool showcased during the Beef Symposium was an educational virtual reality experience of flies, their impact on cattle, and the importance of customized parasite control called Virtual Farm. METRA and PRENA, livestock farming programs in Latin America, also presented during the event, aim at helping cattle producers to mitigate bovine respiratory disease challenges throughout the beef production chain, and enhance bovine fertility, respectively. Bayer is globally active in the life science fields of health care and nutrition. During FY 2018, the group reported sales of 39.6 billion euros and its employees were around 117,000 people. Bayer spent 5.2 billion euros for R&D activities in 2018 while its capital expenditures amounted to 2.6 billion euros.